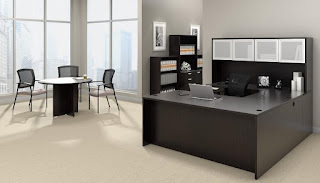 Are you ready to create the office interior of your dreams? Rest assured, we've got you covered. 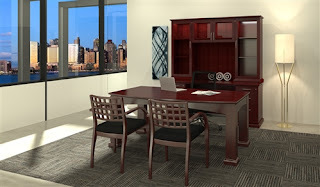 Here at OfficeAnything.com we're proud to offer elite desk collections that are perfect for your passion project. Today on the blog we'll showcase lines that are up to date with the latest trends and sure to earn your space the compliments it deserves. The Mayline Sterling collection is upscale, distinctive, and sure to make an instant impression on your valued office visitors. 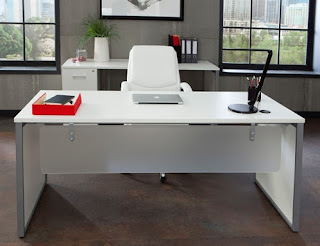 Sterling desks are available in stand alone, L shaped, and U shaped variations to meet the needs of any space. With opaque acrylic accents, modular storage components, and 3 designer finish options to choose from, Sterling is a must consider for your passion project. Traditionalists love the Emerald desk collection from Cherryman Industries. Emerald components offer timeless appeal and unrivaled quality. 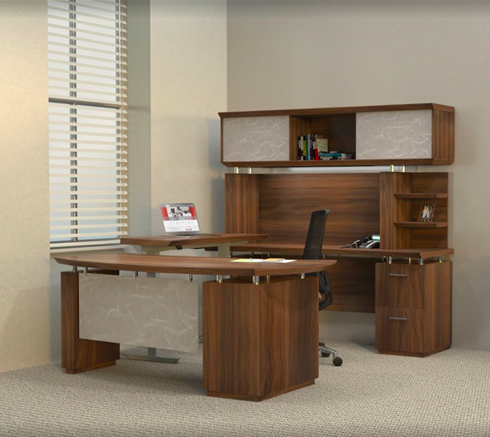 A choice of luxurious Cognac Cherry and Mahogany veneer finish options are available. You don't have to break the bank to see your passion project come to life. 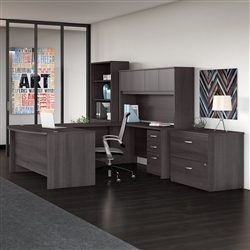 The Superior Laminate Collection from Offices to Go offers budget friendly desks, tables, and storage components that don't lack in terms of quality. 4 fashionable finish options are available. Modern furniture shoppers love the Studio C collection from Bush. 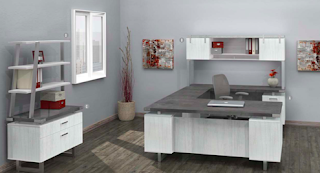 The White and Storm Gray laminate desks for sale from the Studio C line offer exceptional appeal. 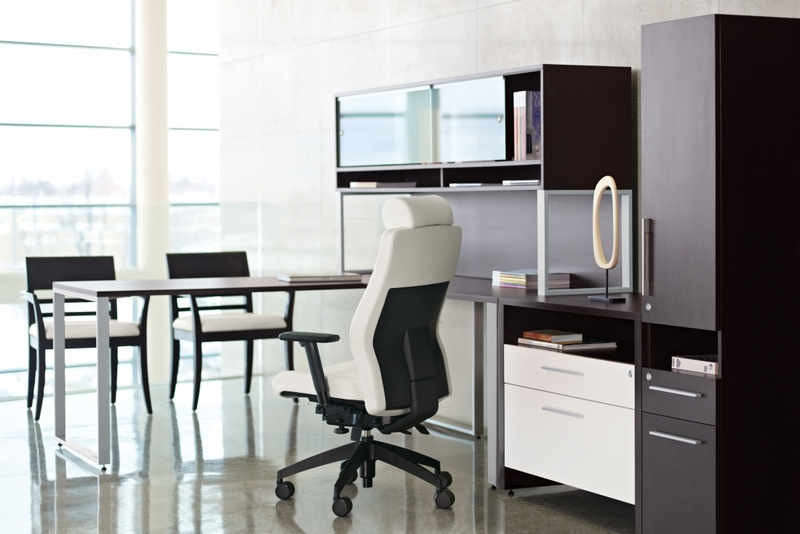 In addition to traditional desks, Studio C boasts some of the best height adjustable workstations on the market. The all new Fulcrum desk collection from OFM is perfect for industrially inspired passion projects. Easy to spec components make it possible to select just what you need to complete your space. In the coming months we believe OFM will make complete desk packages available. In the mean time, if you need help creating a Fulcrum layout for space, we're here to help. Be the first to get the all new furniture from the Safco Mirella collection. Mirella desks are unlike anything on the market today. All of the typicals and components from this series are available for pre-order. Rest assured, Mirella will be the hottest new furniture line of 2019. 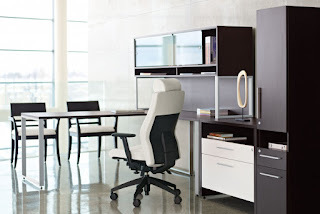 When average office furniture just won't cut it, interior design teams and industry professionals turn to the custom solutions provided by the Global Princeton Collection. This made to order line makes it easy to think outside the box, maximize square footage, and create unique interiors will ample wow factor.